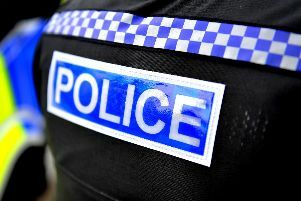 Police are appealing for witnesses after a man was attacked with a machete in a flat in Sompting today. The incident occurred at around 4am today (Thursday, March 23) at a property in Millfield, Sompting, a police spokesperson said. The 50-year-old man was taken to the Royal Sussex County Hospital, Brighton, with a serious injury to his arm and was undergoing treatment, the spokesperson confirmed. A 23-year-old Worthing man, who is also being treated in hospital for laceration injuries, has been arrested on suspicion of causing grievous bodily harm, according to the spokesperson. PC Lee Elliott said: “We are appealing for witnesses to this assault. Contact police by emailing 101@sussex.pnn.police.uk or ring 101 quoting serial 0114 of 23/03.